Trees need space to grow if they are to flourish. We are proud to supply a light, free-draining, compactible material developed specifically for urban tree planting. The sands, sand-soil mixes, clays and gravels that we can source for you - find their way into a multitude of markets and you're likely to come into contact with these products every day without even realising it. What is the difference between tree sand and tree soil? The basic ingredients are the same, but the ratio of the mix is different. The tree planting soil does not need to resist the compaction found in paved areas. Why would I use tree soil? 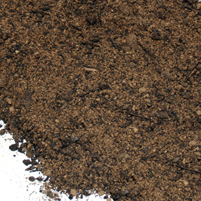 Use tree soil to ensure the provision of a growing medium that has been produced to strict specification and to avoid potential contamination that can result from ordinary topsoil. How much tree soil do I need for each tree? It depends on the size of the tree pit , but a guide would be 5m3 per tree pit. Is tree soil cost effective? Yes, when you consider the expense involved in replacing costly semi-mature trees that have failed because of contaminated topsoil. Where is your tree soil produced? We have 4 production sites in the UK - two in the south, Sevenoaks in Kent and Dorset, one at Mansfield, Notts for the northern half and one in Belfast to cover Ireland. How is tree soil installed? Like any other top soil or backfill. Does it matter what material I surface the tree pit with? No, provided you ensure adequate drainage & aeration. Does tree soil replace/make redundant any of the normal maintenance procedures? No, tree soil makes the maintenance more effective as a result of a better capacity to drain, maintain watering and allowance for air and root space. When planted in tree soil is "guying" still necessary? Yes, but tree soil has a higher "pulling resistance" and therefore makes it more effective or may even allow for lighter guying systems.